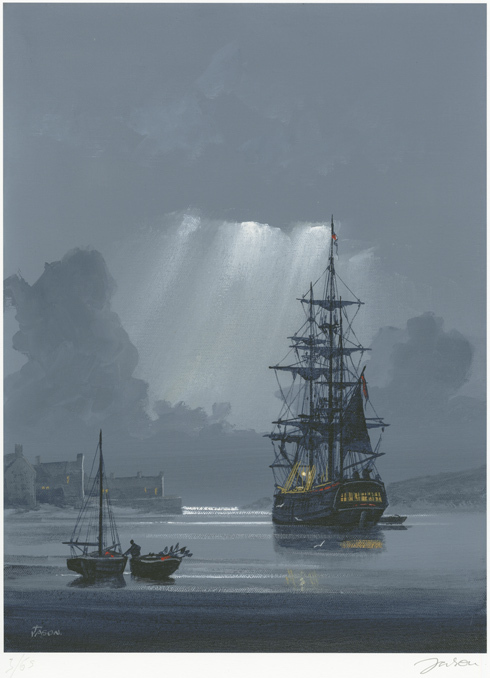 With a successful career spanning decades, Les Spence is one of Britain’s most established marine artists. 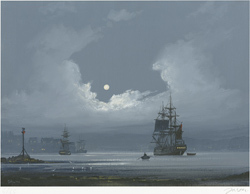 Best known for their mysterious atmosphere and their intriguing storylines within, Spence’s haunting marine scenes are admired by traditional and contemporary collectors alike. Read the full Les Spence biography.